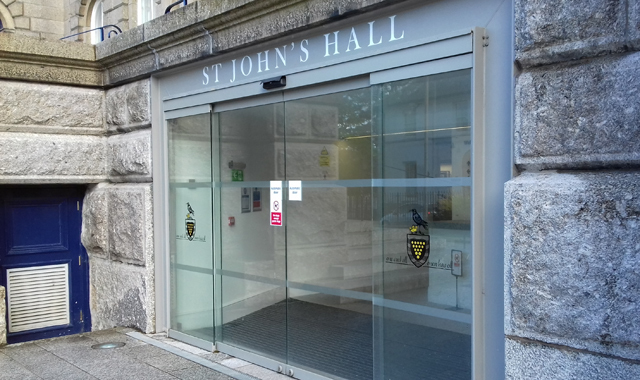 The Safer Penzance Community Event will be held at St John’s Hall on 29 January. Residents and businesses will be able to talk with local services about the work being done to respond to community safety concerns in Penzance at a drop-in event on Tuesday 29 January. Organised by the Safer Penzance partnership, local residents and businesses are invited to come and talk to key agencies and services that have been working together to address continuing concerns about anti-social behaviour, and related drug and alcohol problems, in the town centre. The event will include the Police, Cornwall Council, Anti-Social Behaviour Team, Penzance Town Council, the Business Improvement District (BID), Addaction, St Petrocs, Cornwall Fire and Rescue Service and others. Each will have information stands and staff available to talk with members of the public. It will run all afternoon and into the early evening to make it possible for the greatest number of people to attend. The Safer Penzance partnership has been working for many months to address underlying problems in the town. Next month a new hub will open on the busy Causewayhead thoroughfare, where people will be able to report crime and anti-social behaviour incidents, and make appointments to raise any further concerns with representatives of local organisations. “We have to face harsh realities. Resources committed to public safety have diminished in Cornwall as across the whole country. We are having to find innovative ways of being more effective with less. Penzance Town Council is pleased to support Safer Penzance and the forthcoming town centre hub. “I have previously stated we mustn’t conflate rough sleeping and anti-social behaviour as being the same issue. The high level of rough sleeping in the UK is a national embarrassment and the result of unintended but predictable consequences of nationwide policies. “Cornwall Council and its partners have been exploring all options to effectively tackle the situation, and the police continue to visit the affected areas on a regular basis. The Safer Penzance Community Event is from 1.30pm to 6.30pm on 29 January at St John’s Hall, Alverton Rd, Penzance TR18 2QW.